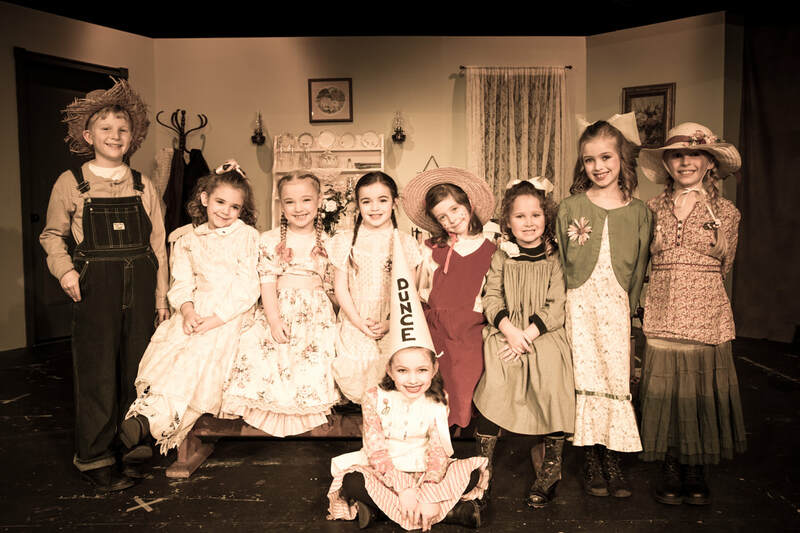 ​Children's Community Theatre of Shiawassee County produces two productions annually along with various other events for children ages 5-18. Children's Community Theatre of Shiawassee County exists to encourage children to reach their full potential by using their God-given gifts to enrich our community through the arts. Our program aims to build confidence while bringing to life on stage great classical literature! We hold two main-stage productions annually. Children prepare for these programs by meeting bi-weekly where they practice drama techniques, voice projection, musical performance and choreographed movement. These sessions promote confidence and teamwork skills they will use throughout life! Bobbi Pangborn and Katie Howard taught drama and music locally for several years before opening the Children's Community Theatre. CCT has produced Jungle Book the Musical, Snow White the Musical, The Lion, the Witch, and the Wardrobe, Anne of Green Gables, and Robin Hood the Musical. About the directors: Bobbi Pangborn is a graduate of Central Michigan with her Masters Degree in Counseling. She worked as a school counselor before moving to the Perry area and is mother to four children. Katie Howard is a graduate of the University of Michigan with a B.S. in Elementary Education. She teaches private piano lessons and is also a mother of four.